2017 Ford Focus Electric for sale in Vernon, Kelowna, Okanagan, BC. Efficiency meets versatility in the 2017 Ford Focus Electric. 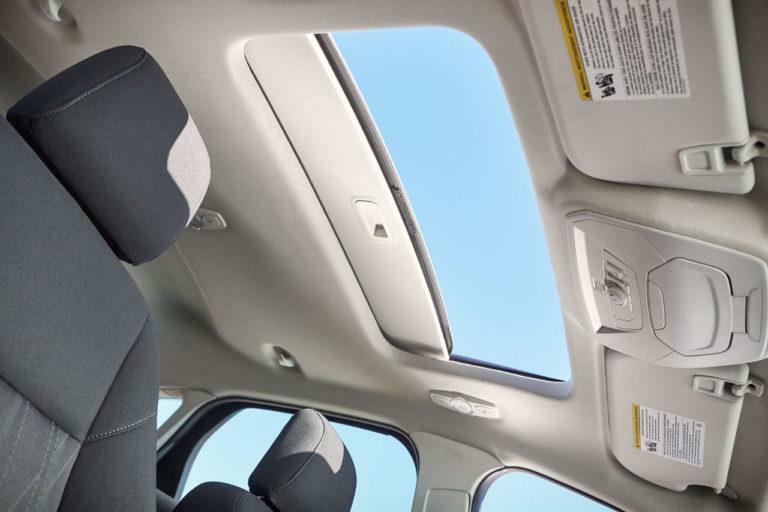 This five-door hatch provides ample space for five plus cargo room for all your stuff. Impressive fuel economy, modern safety features and elegant style ensure this model tops your list. Sporty styling is found throughout the 2017 Ford Focus Electric with a rear spoiler and chrome beltline moulding. Roll on with the 17" Sparkle Silver painted aluminium wheels. Easily see where you’re going day or night with LED signature lighting that includes dedicated daytime running lights. LED taillights ensure other drivers can see you as well. Make a statement wherever you go with the unique piano black grille that features a one-piece design and chrome accents. Heated mirrors include turn signal indicators and blind spot monitors for added safety. 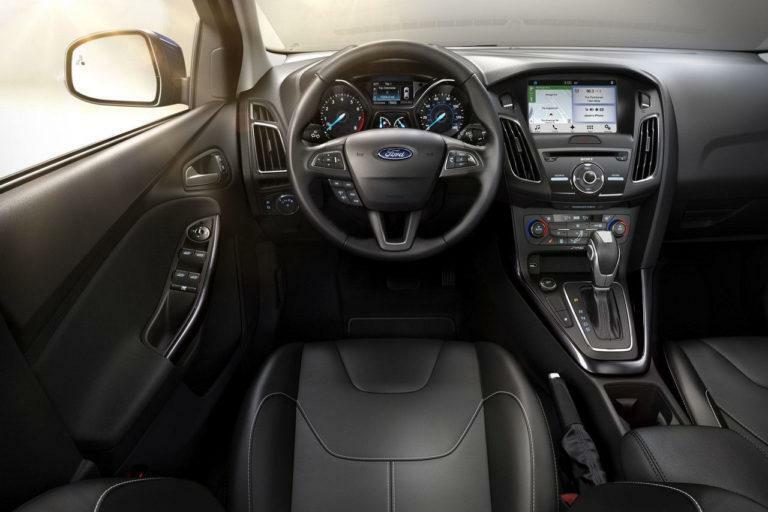 Slide inside the cabin of the 2017 Ford Focus Electric which offers premium comfort and style. Heated front seats are standard and wrap you in coziness while the eco-conscious cloth makes you feel good about being green. Dual-zone climate control ensures you and your front passenger are at just the right temperature. Ambient lighting sets the right mood for your journey. Advanced technology allows you to focus on the fun side of travel. Start on your way with push button start. Then, turn up the Sony audio system which comes with nine speakers. Expand your media options with SiriusXM satellite radio while SYNC 3 makes controlling all of your settings easier. Voice-activated navigation helps you find your way no matter where you’re going. Control your vehicle even when someone else is driving with MyKey, which allows you to set limits on radio volume and speed. Check out your car’s performance with the SmartGuage and 4.2" colour LCD display. Ensure your 2017 Ford Focus Electric is warmed up and ready to go on cold mornings with remote start. Bumper-mounted sensors help you avoid hitting obstacles when reversing. These and other genuine Ford accessories are designed to work with your model to enhance the style and practicality of the car. Add splash guards, deflectors and covers to protect your investment. Pass by those fuel stations in your 2017 Ford Focus Electric. With a powerful 107kW electric motor, you don’t need to stop and fuel up for your trip. This model also comes with a 33.5kWh liquid-cooled lithium-ion battery and a 120V convenience charging cord. You also have the option of charging with either an AC or DC charger to keep you going longer. Enjoy a smooth ride with the Control Blade independent rear suspension. Thanks to the regenerative braking system, you can reuse energy that would otherwise be wasted. The 2017 Ford Focus Electric follows an award-winning tradition for Ford models. Modern technology gives you added peace of mind when you travel in the 2017 Ford Focus Electric. 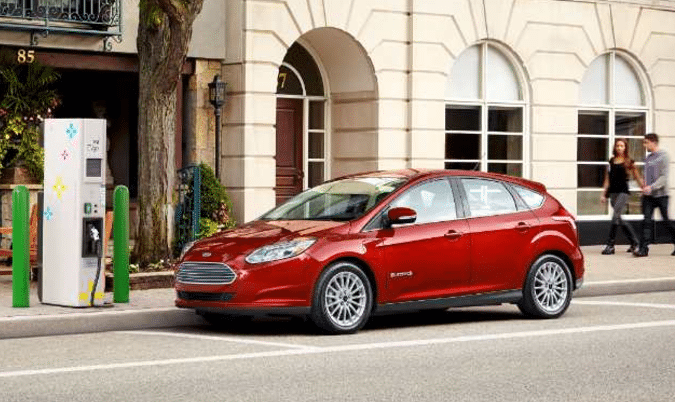 Every 2017 Ford Focus Electric is backed by a solid Ford warranty. Some conditions apply. See Watkin Motors Ford for full details in Vernon, Okanagan, British Columbia, Canada. Enjoy driving the 2017 Ford Focus Electric, knowing you can pass those fuel stations by and keep on going. This model also offers impressive style and comfort while providing first-class safety. With an elegant and sporty design, you’re sure to turn heads as you drive. Stop in Watkin Motors Ford to see the 2017 Ford Focus Electric. Take this model for a test drive and talk to our knowledgeable sales staff about electric technology if this is your first foray into the technology. Trust your local Vernon Ford Dealer – Watkin Motors Ford to help you make the right decision about the best Ford model for your lifestyle.